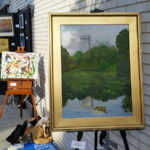 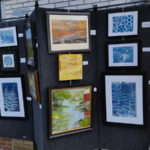 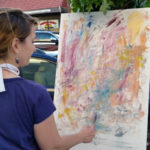 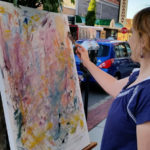 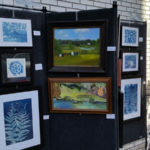 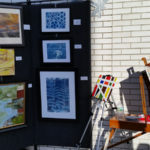 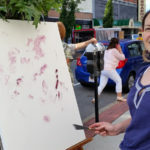 Worcester’s Canal District is having wonderful monthly art walks all summer long! 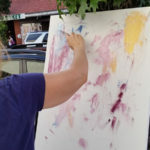 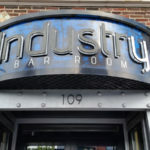 Make your plans for the third Tuesday of the month! 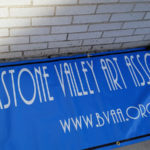 These photos were from June 21, 2016 when the BVAA brought art to showcase. 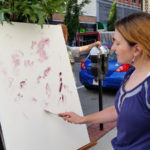 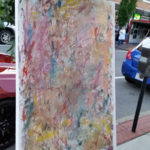 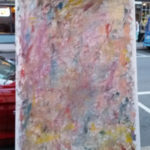 Kudos to Becky Smith for her live painting!